← Beyond the Boats Report welcome except for Recommendation Six. The sacred fire has been a fixture in Musgrave Park for several years. FIRE crews have put out a sacred fire in Musgrave Park this morning (6 Nov 2014). 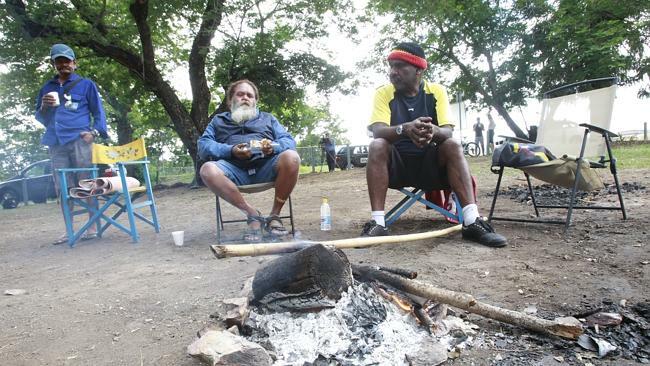 Brisbane fire crews were called to the South Brisbane camp site, where indigenous Australians have started gathering in anticipation for the G20 Summit, and extinguished the fire. One man who had travelled to the park in West End told 612 ABC Radio he would not leave the park. “The significance of the fire is a spiritual one,” he said. He said the Aboriginal community used the fire to get a sense of unity. A Queensland Fire and Rescue Service spokesman confirmed fire crews had been called to the site after reports of an “unattended” fire. The incident comes after Aboriginal groups were shut-out of their meeting place, Jagera Hall, this week.